We are manufacturer of Family Catcher Gift Game in Ahmedabad, Gujarat. High Punch- Indian Video and Arcade Game. 4D Entertainments Swirl is again an innovation concept of replicating a cyclone and bringing the fun factor of catching tickets amidst cyclone to win gifts. 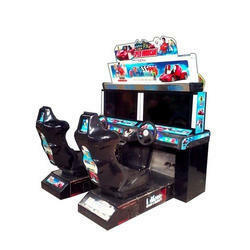 We manufacture and trade arcade games suitable for FECs/game zones/game centers. We provide consulting in designing FECs and can provide a turnkey solution for complete setup. - Exciting/Enthralling screen based games ranging for car/bike/shooting & much more. - Enjoyed by both young & old. 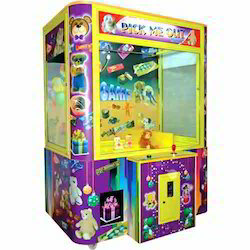 With our expertise and trustworthiness, we are engaged in offering an optimum quality range of Arcade Video Game Machine. We sell, design and install complete equipment for game zones/ family entertainment center.We are also experts at designing interiors and exteriors of the game zones. 1. Choose one gun and insert coins to start the game. 2. Shoot at the screen to choose a sence to start game. 3. Pull the trigger to shoot at the targets to get scores and the rewards to get bullets, grenades, missles, life value etc. Press the button on the top of the gun to throw grenades or launch missiles.